The web is awash with schemes promising to double your money without you having to lift a finger, but without exception these turn out to be Ponzi schemes or outright scams. However, there are genuine ways you can earn a passive income online, one of the most popular of which is through referral marketing. Referrals can take many different forms, but in all cases revolve around getting others to click on your referral links to either make a purchase or perform an action after which you earn a commission. Examples of this could be making a purchase (ie from Amazon), signing up to a website, downloading an app or even, and this is the focus of this guide, visiting free bitcoin faucets – sites which reward you with cryptocurrency simply for visiting. The theory is that once this link is out there and being promoted the owner can sit back and watch the money roll in with little or no further effort. However, like most ways of making money, it’s rarely that simple and often building up a circle of active referrals takes a considerable amount of work. However, and this is the key here, it is possible to do it if you’re prepared to put in the initial groundwork. 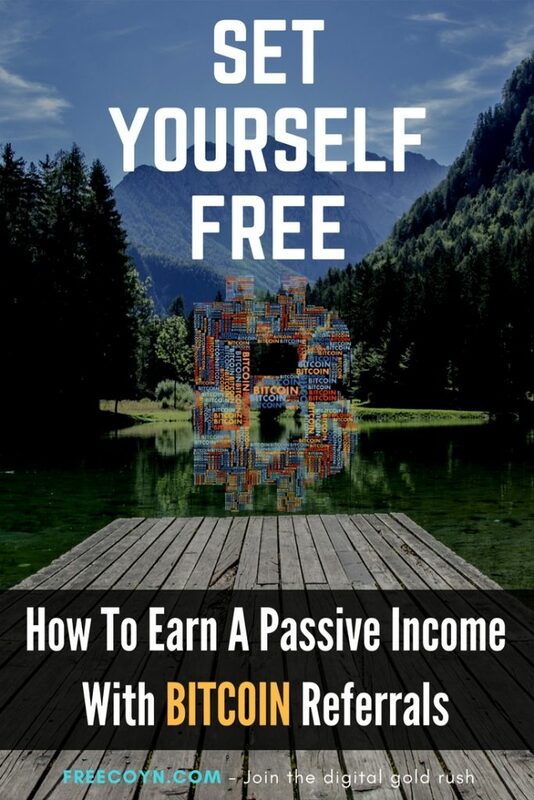 As I’ve already said, the purpose of this guide is earning a passive income from free bitcoin faucets. If you’re unfamiliar with these websites, you can read our main guide here and you’ll find lots of other useful information by simply have a look around this site. To summarise though – a bitcoin faucet is a website centered around serving adverts. They make money by generating large amounts of traffic to view these adverts and to encourage repeat visits they hand out tiny amounts of cryptocurrency to encourage you to come back. Visitors will need to perform a simply anti-bot check before they can claim a small portion of Satoshi (the derivative unit of a bitcoin – 100,000,000 Satoshi = 1 bitcoin) and the amounts paid out are usually tiny. You’ll need to collect an awful lot of Satoshi before you start making a significant amount of money, and visitors faucet after faucet on your own will get pretty tiresome after a while. You can spend a days clicking through hundreds of faucets and only make a couple of dollars/pounds. This where referrals come in. Most cryptocurrency faucets offer schemes where you can earn a percentage of each payout from someone who has claimed using a referral link that’s individual to you. Often this is 5-10%, but some faucets pay as much as 50%, such as Moon Bitcoin. 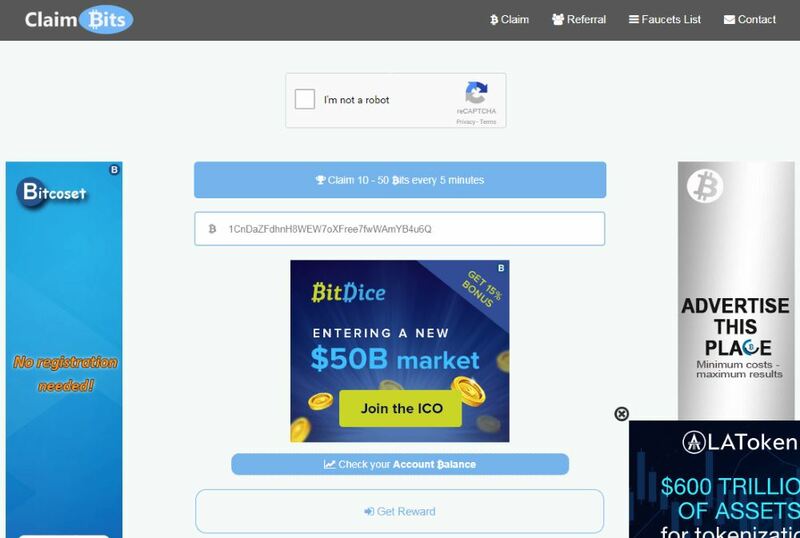 This faucet features one of the most generous referral schemes out there, on top of a series of bonuses which you can accrue to add even more to your own personal faucet claim amount. It has also been around for a long time, has large user base and is widely regarded as trustworthy. Speaking from personal experience, we have found it to be 100% reliable and has also paid out exactly what it should. Some faucets start off with the best intentions but then become unreliable and in some cases become scams which don’t pay out at all despite remaining active online. 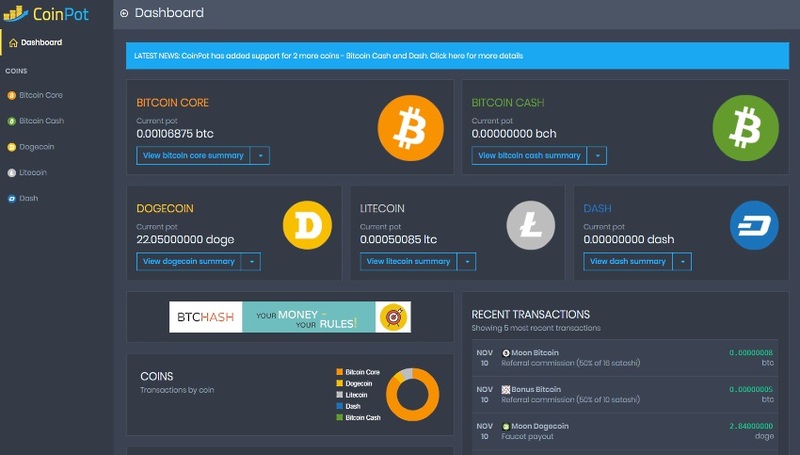 To get started, all you need to do is create a Moon Bitcoin account then head over to CoinPot (a free microwallet) and link the accounts together. You’ll need CoinPot as it acts as an essential repository for your collected coins. It also links together payments from other faucets meaning you can gather together a usable pot of coins sooner. The other CoinPot-linked faucets are Bit Fun, Bonus Bitcoin, Moon Bitcoin Cash, Moon Dash, Moon Litecoin and Moon Dogecoin. All of them are worth signing up to and adding to your referral list. Each faucet will give you a unique referral address which you can then promote. You might want to start small and just get a few of your friends to sign up to see how the system works before moving on to more generalised promotional activity. Freebitcoin is another high-paying and well-respected faucet which offers a generous referral programme. Not only do you earn money from referral claims, but you also get paid if visitors play the hi-lo game hosted by the site. And you’ll earn a percentage of the interest people you’ve referred receive if they hold balances of more than 100,000 Satoshi. Once you become confident with how faucet referrals work you’ll soon see the potential for some significant earnings. The key to this is building up a large circle of referrals who are active. The last part is particularly important because referrals will come and go like mayflies so you need to ensure you are constantly attracting new people to your referrals links otherwise your earnings can quickly stagnate. There are many ways of drumming up new business and you need to find the method that you’re comfortable with. For instance, you could start a blog and populate it with cryptocurrency-related content together interspersed with your referral links. By providing a useful service and creating content that people will want to visit and share you are adding credibility to any advertising/affiliate marketing you are carrying on your site meaning people will be far more likely to click on your referral links. Creating themed content will attract people who are already interested in cryptocurrency to your website and they are far more likely to click on a referral link to a faucet than someone who has no understanding – or interest – in digital currencies. It goes without saying that there is some initial effort and cost involved here. You’ll need to set up and host your blog and while there are free options out there, you’ll often be tied to platform-specific adverts, which you won’t profit from, and you may not have as much freedom over the design of your website as you’d like. Setting up a simple WordPress site using a free template and a cheap hosting package should cost you no more than $50 (£35) a year so you’re not taking much of a risk with the initial outlay. You’ll then need to think about – and create – the content. Your posts need to be unique and well written otherwise they won’t do very well on the major search engines or with visitors. But do a bit of homework and hone your writing skills and you’ll start getting a steady flow of traffic before you know it. Letting people know about your website is vitally important. Site-side you can create a sitemap to ensure the major search engines are spidering your pages and add social sharing icons to your pages to make it easy for people to let their friends known about your content. You can also promote your site in the various bitcoin-related forums out there, but this can be a bit of minefield. You need to ensure you follow the forum’s rules – most sites don’t allow direct referral links in posts and will ban you immediately if you start doing this. However, many forums do allow you to promote your website or referral link in your signature message. This can attract a steady flow of visitors to your blog, especially if the forum itself has a high volume of traffic. Now, for the exciting part. As soon as you start attracting traffic to your blog you should start picking up a few referrals. You’ll know when this is happening because you’ll begin to see referral commissions appearing in your CoinPot account. This means that someone else has earned money for you – it’s a good feeling isn’t it! Now you need to think about generating more content and other ways of attracting traffic to your blog to keep the cash rolling in. There’s an old adage in the publishing world that ‘content is king’, and this is still true, especially when it comes to ranking highly in the search engines. Algorithms are getting smarted and it’s never been more important to ensure your content is original and information rich. Promoting your blog yourself on social media is another useful way of getting your name out there, but you need to be mindful of the rules. For example, Facebook recently banned all cryptocurrency advertising; It remains to be seen if this is will extend to other cryptocoin-related areas. Some sites take a dim view of people who set up accounts purely to promote referral links so you need to be smart about how you do it and focus on promoting your genuine blog content, which just happens to contain a smattering of referral links. You can also pay to advertise your referral links, with many ad networks connected to faucet sites accepting such advertising. One prominent network is called Mellow Ads. But you need to balance the cost versus return ratio. To start with the outlay may be prohibitive and you many not earn anywhere near what you’ve spent. However, it can be a bit of a chicken and egg situation and you may need to accept some financial outlay in order to develop your network such that he generates a meaningful return. When this has happens you can finish your advertising campaign and rely on organic and social traffic to keep a continual stream of new referrals coming in. Finally, it’s important to keep your blog fresh. A regular supply of good quality content will work wonders with the search engines which in turn will generate a steady flow of new visitors while keep your regulars coming back. Just a note about CoinPot: This microwallet offers the extremely useful feature of enabling you to instantly convert your currencies between the five supported. So say you’re set on collecting bitcoin – you can claim from all the other connected faucets (such as Moon Bitcoin Cash) as well then simply convert these claims into bitcoin at your leisure. You’ll also need a bitcoin wallet to withdraw your CoinPot coins to so you can begin spending them or trading them. 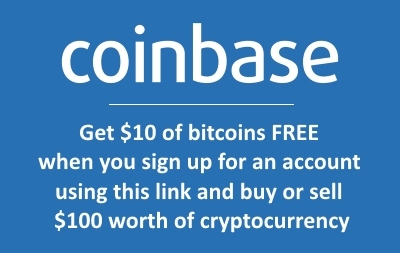 There are many options out there, but we recommend Coinbase. It’s the world’s largest platform and also one of the most secure. It enables you to store and trade bitcoin, bitcoin cash, ethereum and litecoin. If you sign up using our referral link and buy or sell more than $100 worth of cryptocoins you’ll receive $10 worth of free bitcoin (and so will we), so everyone’s a winner!